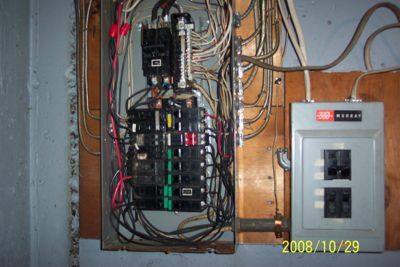 A customer called with an emergency, circuit breakers had failed to trip, causing a burning smell. The main breaker would not shut off. The problem was that the main breaker couldn’t handle the load of all of their appliances in their house. We came in and replaced the electrical panel and upgraded to a 200 amp service to make sure that problem didn’t happen again.